Beck Cottage in Colby, Appleby-In-Westmorland sleeps 4 people. 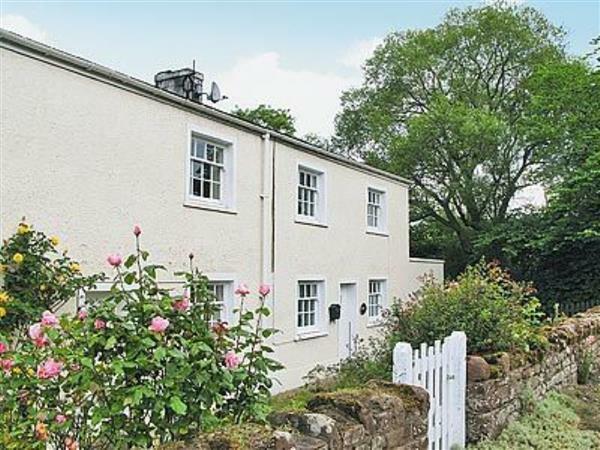 Located in a quiet unspoilt Cumbrian village close to the market town of Appleby-in-Westmorland, this cosy traditional holiday cottage has the bubbling Banley Beck which runs into the River Eden running alongside it. Set in the Eden Valley, which has much to offer visitors who want to enjoy the quiet countryside walking, cycling or fishing. Within a short distance is the Yorkshire Dales National Park and the Lake District National Park, both well renowned for their beauty, picturesque scenes and many tourist attractions. The historic cities of Durham and Carlisle are only a short journey away. A lovely traditional cottage in a village setting, well located for touring. Shops, pubs and restaurants 2 miles. Open fire in living room included. Night Storage Heating, electric, bed linen and towels included. Cot. High-chair. DVD. Electric cooker. Microwave. Washing machine. Garden and furniture. Parking (2 cars). No smoking please. NB: Unfenced beck running alongside property. Holidays at Beck Cottage run from Saturday to Saturday. Do you want to holiday near Beck Cottage (RCHL24), you can see other cottages within 25 miles of Beck Cottage; have a look to find your perfect holiday location.